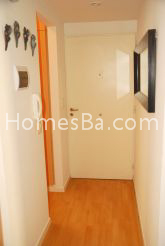 Excellent apartment in a very good location in Recoleta. Silent and sunny. Very nice view from balcony. Lots of trees in the middle of Buenos Aires. Small pool and gym. Sauna. Security by night and two doormen during daylight. 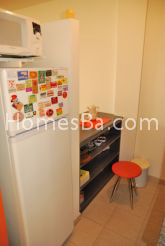 Nice kitchen with microwave, fridge with freezer, gas range. Bar with two high chairs. 1 double bed (1,40 x 1,90 mts) and a sofa bed. Full bathroom, window in bathroom and bathtub.